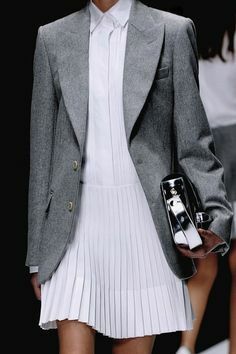 As much as I love the look of suede, from someone who comes from a snowy climate, I know just as well as anyone suede boots aren’t the most practical items of a woman’s (or man’s) closet. 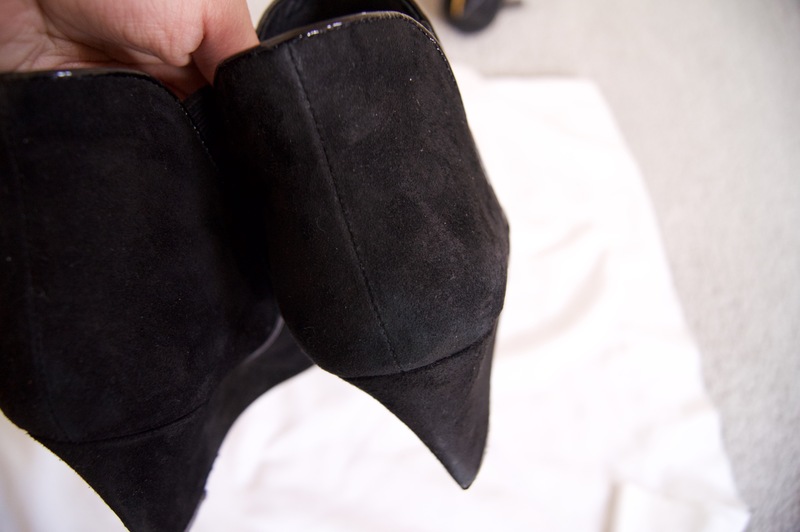 Over the years, I’ve learned how to best care for suede, and I thought I would share some of that have worked for me in preserving the look and feel of newly purchased suede! My best tip? Protect and avoid. I just purchased this spray by Scotchguard, and I have to say, that it works pretty well (note, however, that this spray could darken the suede if you are not careful). Although this protectant is to make suede water resistant, I still would not voluntarily submerse my boots in ankle deep slush and water to be on the safe side. To use this, clean the suede to remove dirt and debris. I use a brush similar to this one. I also have an gum/eraser type (which I cannot find) but it also works fairly well to remove dirt. Comparing the brush to the gummy, the four-sided brush is more functional as the curved edge can reach into grooves and crevices of footwear that are difficult to reach. 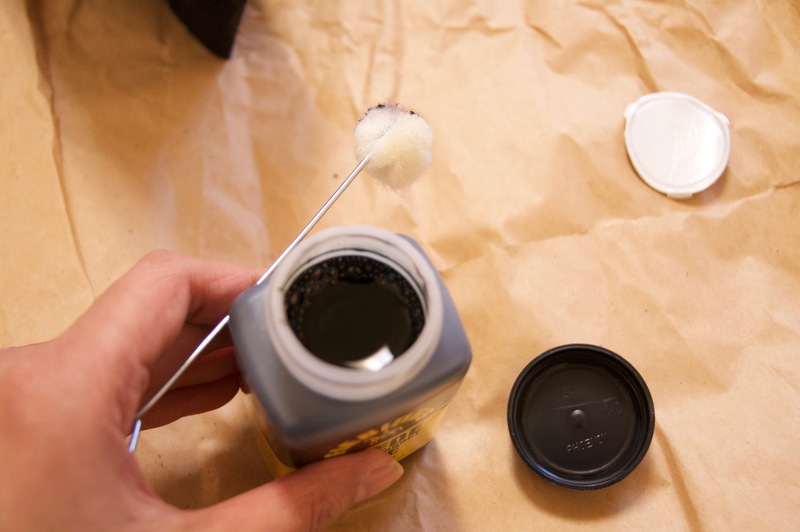 After cleaning the suede, dip the applicator into the dye and remove the excess. I did so by patting it into the paper I used to protect my surface. I then dabbed the dauber on to the suede. I was somewhat light-handed, but went over the areas again later, where I felt like it could use more color. I let dry for an hour or so and repeated the steps. 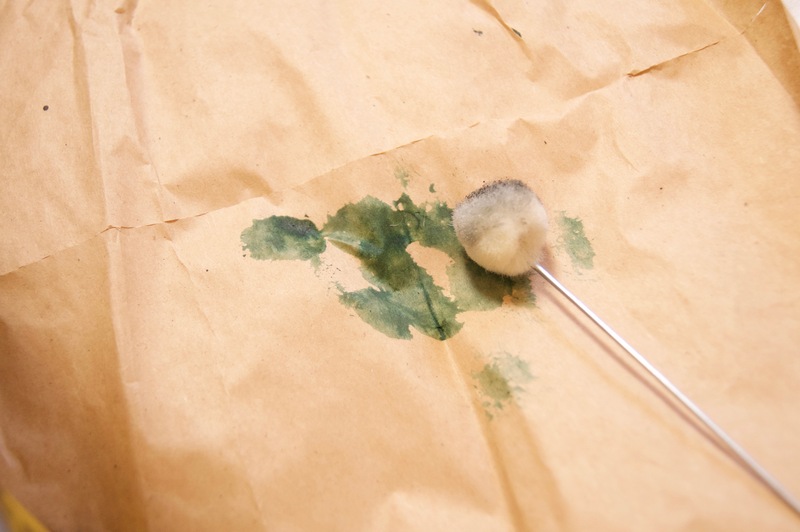 After drying, use the brush to “restore” the nap of the leather. I like to brush in one direction, and made sure not to rub too hard to actually remove the nap. Much better! I then spray my boots with Scotchguard to repel moisture and prevent salt stains. Because these boots are black, I sprayed pretty liberally, but still gave it quite a bit of distance between the bottle and the boot as the liquid came out in quite a strong burst rather than a light mist. For lighter colors that you don’t want to darken, I would give it a very good distance and spray very lightly, repeating several times, while allowing to dry in between treatments. And when I say distance, I mean like a foot and a half. 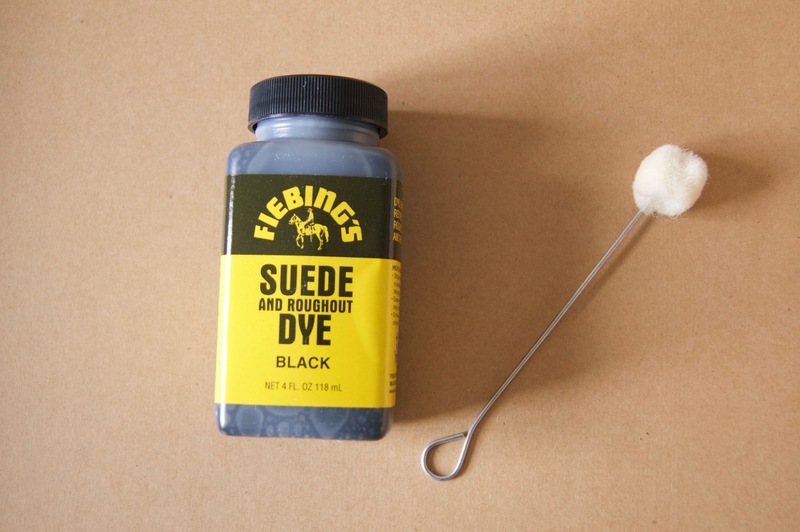 The suede may darken temporarily, but as long as the suede is just slightly damp, it will likely return to its original color. Clean and protect suede regularly. And there we go! 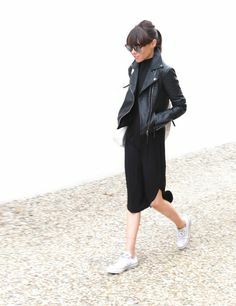 Your suede is ready to take on the world! 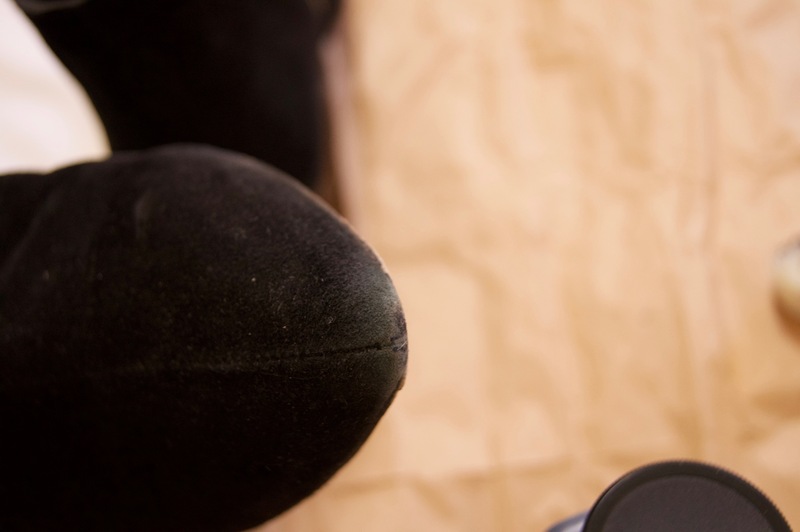 Do you have tips for caring for suede?